Truck Accident Personal Injury Lawyers in Corona, California! Need Professional Legal Experts To Deal With Corona Personal Injury Or Wrongful Death Claim? Corona truck accidents cause terrible injuries, property damage and sometimes even deaths resulting in wrongful death claims. Committed to lead our clients through the rightful resolution in legal trials, a team of Corona personal injury lawyer comprised of top-notch legal experts, adept at striking the right chord with your need for legal assistance, bearing experience of 40 years in handling truck and car accidents. With our aggressive and steadfast approach in the pursuit of your legal needs, we leave no stone unturned to ensure that our clients who suffer from truck accidents, both financial and emotional, and experience bereavement following the loss of their loved ones in fatal car and truck accidents, acquire proper compensation for the gravity of their financial losses. Click here to reach out to us for expert legal consultation and evaluation of your truck, car, motorcycle or other personal injury or wrongful death accident case. Click here to seek expert and experienced legal assistance 24/7 for a truck accident personal injury or wrongful death claim. For all the relevant details related to the skills and achievements of our experienced attorneys, look through our lawyer profiles. Further, check our Truck Injury Accident Web Site to understand about the intricate process of handling truck accident injury claims. And for more specific advice about your own particular truck, car or motorcycle injury or wrongful death case please call us now at 818-222-3400 or 1.866 INJURY 2 (after hours, press”1”). 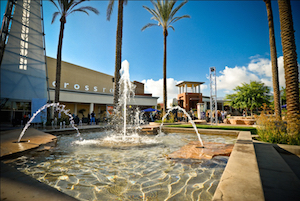 Located in Riverside County, California, a population of 152,374 inhabits the city of Corona, according to the US 2010 census. 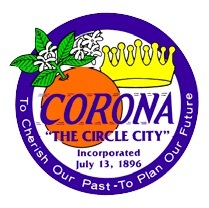 Corona stretches across a total area of 38.9 square miles, featuring 38.8 square miles of land and the small rest is water. Further, a warm Mediterranean climate hovers over Corona all year long and Corona experiences mild winters and scorching summers. 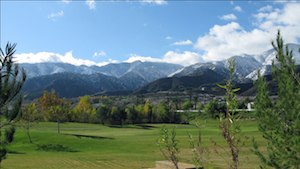 A considerable rainfall pours down during winter and early spring. Vontaze Burfict, who plays for Cincinnati in the NFL as football linebacker, attended Centennial High School in Corona. In addition, Cirilo Flores, a Roman Catholic bishop, was born in Corona, California. Determining the underlying cause of a track accident is central to one’s pursuit of monetary compensation regarding settlements for damages and injuries sustained in any truck, car, motorcycle or other personal injury claim in Corona, Riverside or anywhere else in California. The overwhelming force and size of a big rig vehicle such as 18 wheel trucks pose a serious safety concern for others traveling in smaller vehicles like a motorcycle or car. Clearly both the driver and passengers of the smaller vehicles are at the risk of fatality owing to the momentum generated by large and heavy trucks in collisions. Outstanding legal expertise serves you well to come to grip with the intricate details of personal injury and wrongful death cases. Contact us 24/7 for legal assistance of the highest quality by our team of trusted attorneys and other legal experts who have fought and won many legal cases, some with a little chance to win where the other parties’ insurance company even denied liability, during our 40 years of practice. Our repertoire of personal injury and legal cases and practice goes well beyond truck and car accidents and includes wrongful death, train and bus accidents and other personal injury cases. No sooner than we start representation with our lawyers that we will commit ourselves to a relentless pursuit of yourcase and will not hold back until we help you get the maximum compensation to which we think you are due. With 40 years of experience in handling legal claims, we have the knowledge and expertise to deal with the process and the number of formalities and procedure involved with injury and wrongful death accident claims. It can be a rather straining order of business to deal with the loss of loved ones as a result of car and truck accidents. Therefore, we form a bond of compassion with our clients and buckle down to try to ensure that justice is served at the conclusion of every case. To understand how we can assist you with a Corona, California truck accident personal injury or wrongful death claim, and ensure that your rights are not violated and you comply with California DMV and other procedural rules, please get in touch with us today. For an easy consultation, fill-out our contact us form and tell us about your Corona, CA truck accident or other injury accident. There is NO fee charged by us until you win and then it comes out of the recovery, not your wallet! 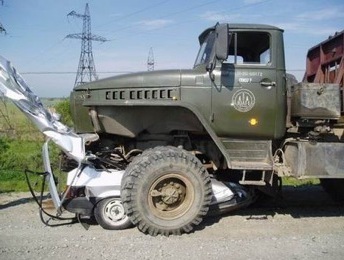 We work on contingency fees on truck & car accident collision cases and the first consultation is absolutely FREE. So why delay and risk missing a time deadline or DMV procedure? You only benefit by calling us now and not waiting.